Seriously, the backcountry starts well within Whitehorse city limits – that’s why they call it “the Wilderness City” after all. 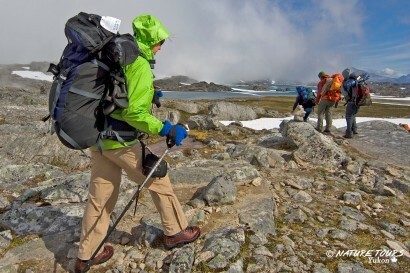 If you’re a hiker or trekker, the Yukon was made for you. 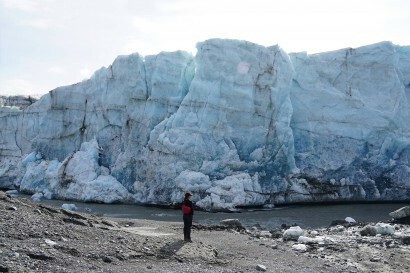 With a knowledgeable Yukon Wild guide, a sturdy pair of boots, and as much as 24 hours of daylight, you'll be all set for an experience unlike any you’ve had before. 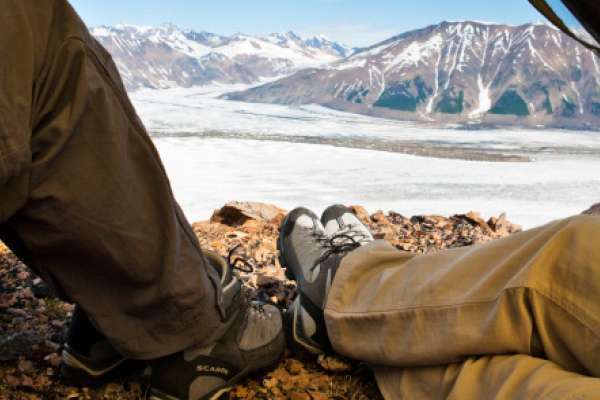 Experience the historic Chilkoot Trail and the abandoned settlements high in the pass; venture into Kluane National Park for a remote and challenging trek; or, see the impossibly jagged Tombstone Mountains just north of Dawson City. Follow in the footsteps of the Klondike Gold Rush stampeders, our First Nations people, and the caribou, moose, grizzlies and Dall sheep that call this place home. At the end of the day, your guide’s culinary magic and the mountain fresh air will have you in your sleeping bag dreaming of even greater things to come. 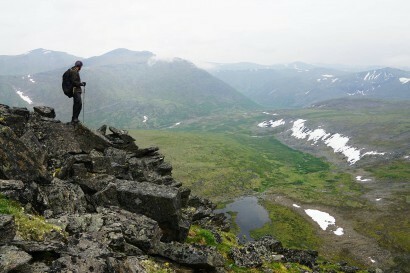 Combine your Yukon wilderness journey with creative expression or personal reflection. 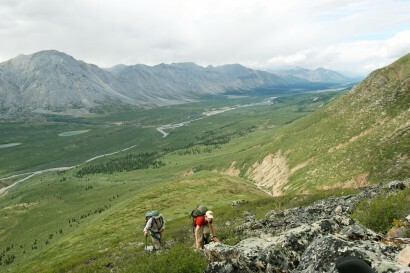 Experience the call of the Yukon's unique nature, wildlife and birds, all year long. Looking for adventure? Let's create your adventure of a lifetime! The Chilkoot is the perfect combination of intriguing history, stunning scenery and just the right amount of challenge. 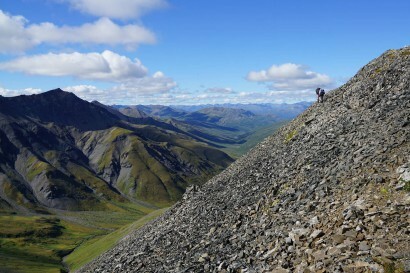 This is a unique trek where you get to explore the Yukon's remote wilderness for six days without carrying a heavy pack! 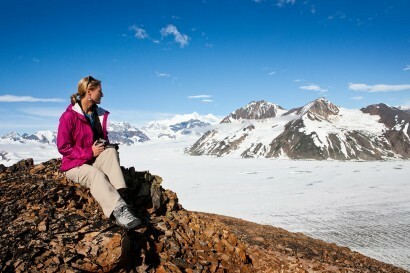 A gorgeous trek to the heart of Kluane National Park and the grandiose Donjek Glacier. 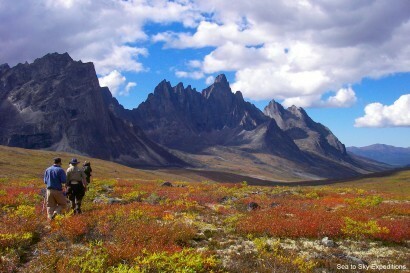 Trek for seven days across the Ogilvie Mountains in the remote Yukon, all the way to Tombstone Territorial Park. Stunning mountain scenery and fantastic hiking in Canada’s Patagonia! 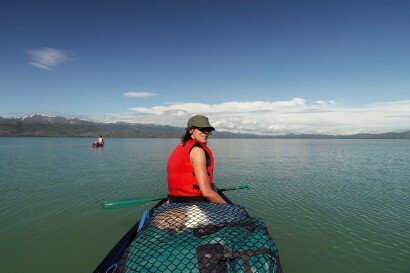 Explore the Yukon and Alaska by land and water. This is the complete northern experience. 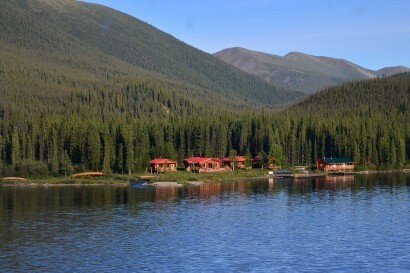 Experience the pristine wilderness of the Yukon while being part of our family. 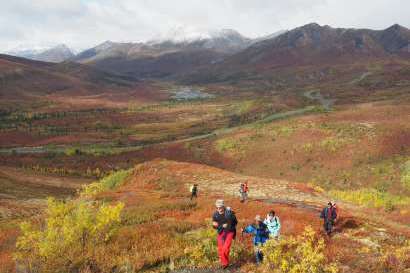 Day hiking in exquisite fall colours off the Dempster Highway, north and south from our base at Tombstone campground. 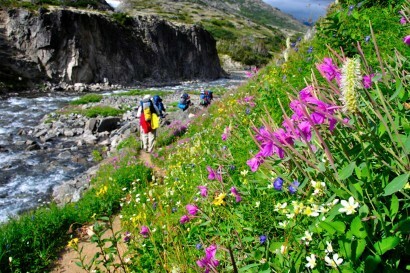 A trek over the Chilkoot Trail is an experience that you'll not soon forget. 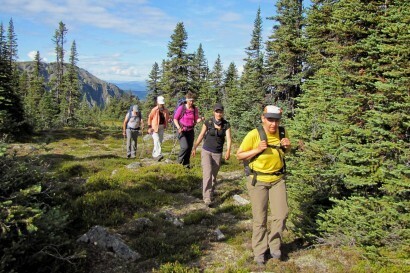 Stunning scenery and hiking in the home of Canada’s largest mountains! 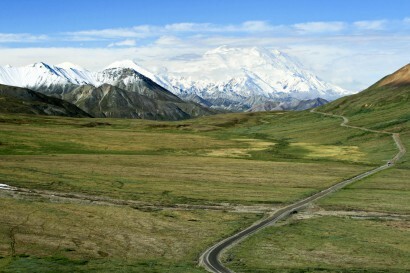 Travel by van along scenic highways and back roads while trekking and camping in the North. 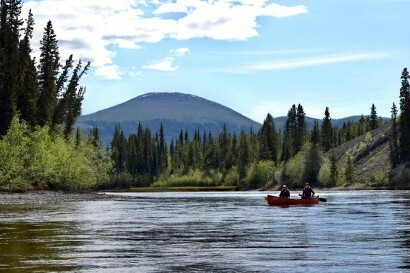 Pristine wilderness hiking and canoeing in the Mackenzie Mountains. Enjoy pristine northern forests and all they offer. We'll customize your experience to suit you. 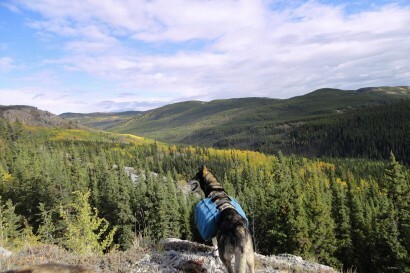 Hike through Yukon wilderness with husky companions who carry lunch or overnight camping gear in their backpacks. 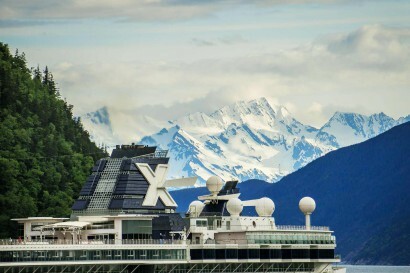 Yukon-sized dreams into experiential reality.